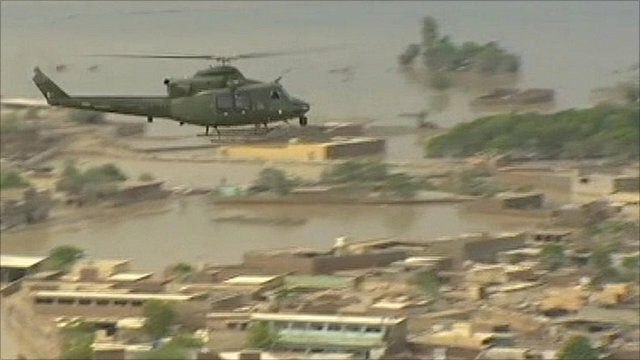 Flying into Pakistan disaster zone Jump to media player Rescuers are struggling to reach 27,000 people cut off by devastating floods in north-west Pakistan. Thousands stranded in floods Jump to media player Rescuers in Pakistan are struggling to reach 27,000 people still stranded by the worst floods in 80 years. 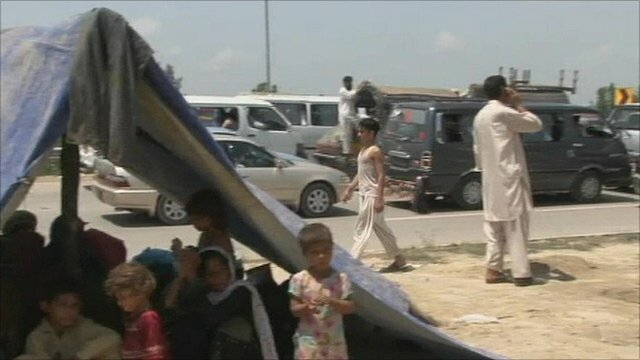 Monsoon rain devastation in Pakistan Jump to media player As the worst monsoon rain in a generation hits north west Pakistan, the death toll has risen to over 1100. The US government has been helping by dropping halal food parcels by air. 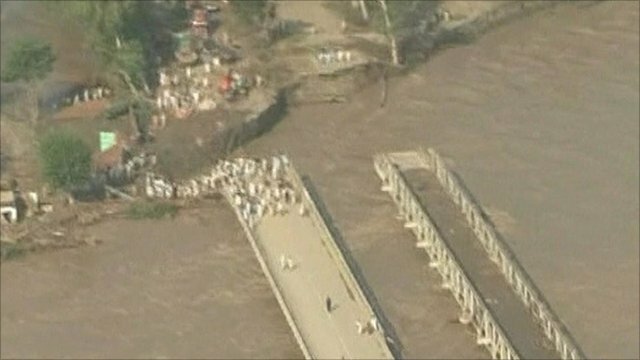 Rescuers are struggling to reach 27,000 people cut off by devastating floods in north-west Pakistan. The BBC's Orla Guerin joined an army helicopter crew as they flew into areas hit by the worst floods in 80 years.